As mentioned before, we have been particularly busy working on reducing the fire hazards around the house. 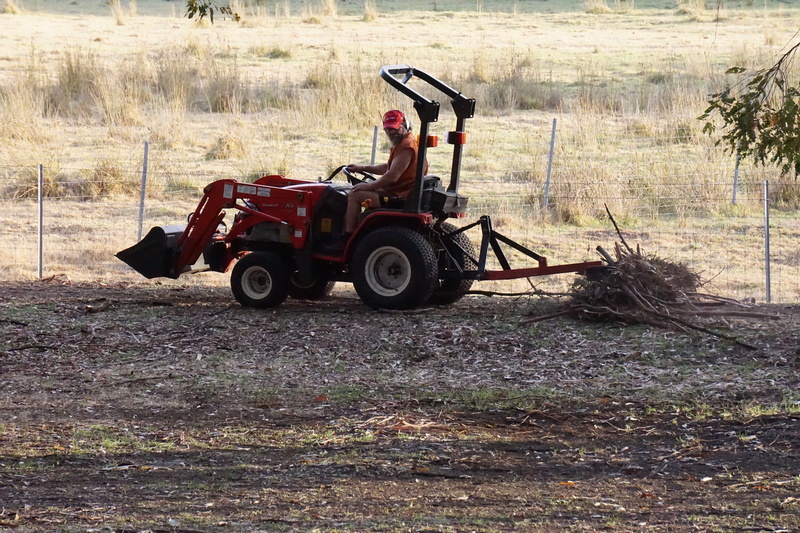 This has involved endless raking up, fortunately mostly using the big rake on the back of the tractor, plus professional tree loppers. We hired Branching Out, and they did a great job thinning out the trees too tall for us around the ‘snake lake’ mulching and clearing as they went. 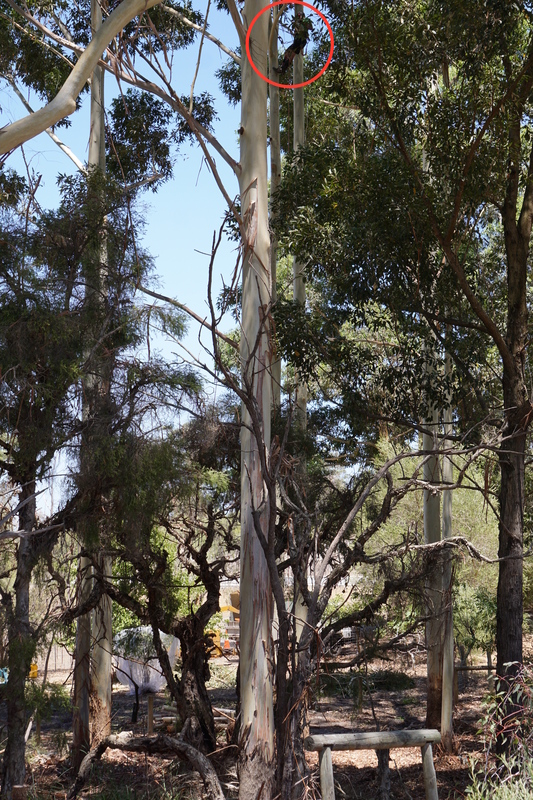 When we say tall trees, they really were very tall! The aim was to stop a fire in the leaf litter below getting up into the tree canopy and putting the house at risk. This height really needs a professional! It has been pretty busy here at McCarthy Park lately. 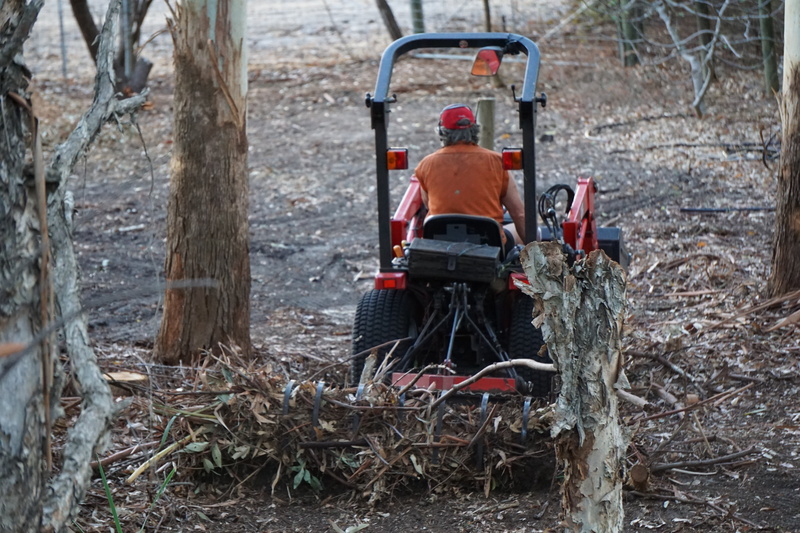 We have had one bush fire already and have spent a fair bit of time doing more fire proofing, including getting some tree loppers in to help clear. 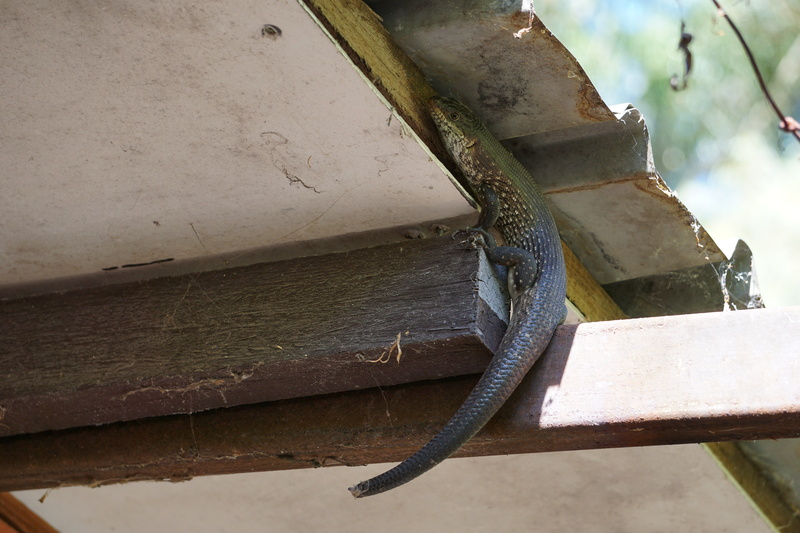 An entertaining aspect of the wildlife at present is the King skinks. 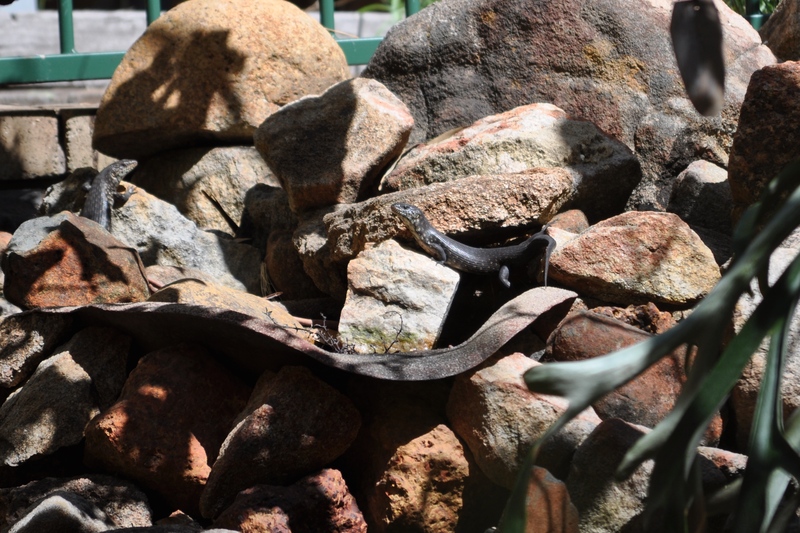 We have always had a whole community of them in the rockery, and encourage them by giving some food now and then and keeping the dogs out of that area. We often have them in the roof space, and occasionally get quite energetic and run around. this year, they have added a few kamikaze dives from either the eaves or the grape vines! 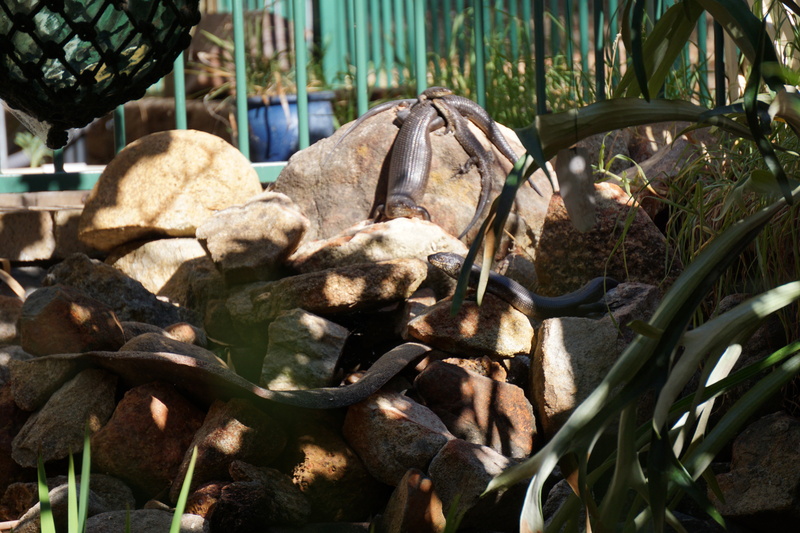 Quite regularly we here a THUD and look out to see a skink on the ground!